Most people know to find repair services if there is a problem with their air conditioning Spring Texas. Keeping your AC unit in good condition is an important part of home ownership. It keeps you and your family healthy, comfortable, and safe. Waiting too long for repairs can make things difficult at home. For this reason, most people contact a reputable service at the first sign of damage. Did you know that it you should also arrange for Texas AC services if you are planning a move? Regardless of the time of year, you should always hire inspection services before your house goes on the market. This can impress potential buyers as well as increase the value of your home. Be sure you hire a reputable and highly recommended service center. This is the best way to be sure that the results they give you are accurate. If your potential buyers are from the area, they will know if you hire a cheap service. It is wise to make the investment in a high quality service center. 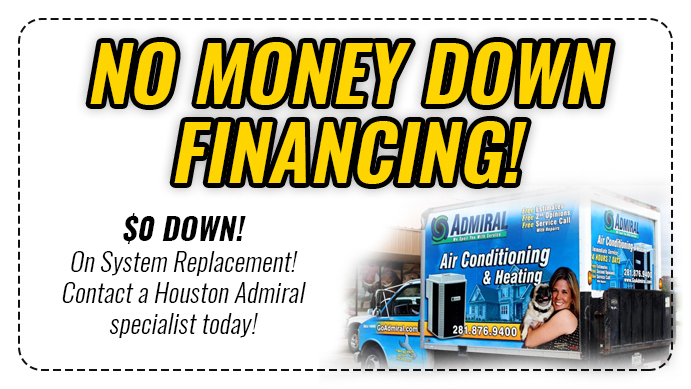 If you are searching for Spring, Texas AC repair you can contact Houston Admiral today. They are happy to provide their clients with the best customer service possible. Houston Admiral has been operating in the area for over 50 years because of this reason. They provide each and every one of their clients with high quality repairs. Houston Admiral also offers 10 year warranties on both parts and labor. Contact them by calling 281-876-9400 to learn more or arrange for an appointment. You can also visit them online at https://goadmiral.com. Buyers looking for a new home often prioritize the state of the air conditioning in Spring, Texas. Texan summers can reach extreme temperatures. For that reason, it is crucial that your home have a well working air conditioning unit. A person’s home needs to be comfortable and safe. Having functioning AC can ensure that you and your family have refuge from the heat. It can also help prevent conditions such as heat stroke and heat exhaustion. Before you put your home on the market, take the time to hire a reputable company to inspect your unit. A formal inspection tells potential buyers that your home is indeed sale ready. Buyers do not need to worry about undertaking that task themselves. An inspection tells them that the home will be ready for the warmer months. It also lets the buyers know that there is no need to worry about health or safety concerns. If you are looking to hire an inspection service in Spring, contact Houston Admiral today. They have a team of technicians available to inspect your air conditioner at your convenience. You can contact their friendly office staff by calling 281-876-9400. Interested homeowners can also visit them online at https://goadmiral.com to learn more about their services. Houston Admiral stands behind all their work with 10 year warranties on parts and labor. For homeowners looking to sell, this can be a huge perk. You can guarantee to the new buyers that the unit works and you can pass along an amazing warranty. 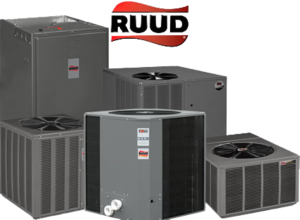 Hiring Spring, Texas AC repair companies will also help prepare your home for sale. Inspecting and repairing your major appliances is an important part of the listing process. Having a full inspection done helps you to make certain decisions about your home. In some cases you may need to sell your home fast. Situations like these do not always allow for time to complete lengthy repairs. In those cases, you may opt to reduce the asking price of the home in order to accommodate for the malfunctioning appliance. Residents of Spring and surrounding areas can contact Houston Admiral today for any inspection needs. Their skilled technicians are happy to provide you with high quality service. Houston Admiral also offers 10 year warranties on all parts and labor. If your unit does require repairs, you can entrust it to their experienced hands. Visit them at https://goadmiral.com to learn more about their services. New and returning customers can contact them by calling 281-876-9400 to arrange for repairs or inspection today. If you are selling your home and looking for air condition services in Spring, keep a few tips in mind. Look for companies that offer warranties on both parts and labor. You can rely on these to help you if a problem reappears during the sale process. Sellers can also pass these warranties along to buyers. This can give your home an extra appeal to prospective buyers. You should also search for a company that offers inspection, repair, and installation services. This way you are covered by one call regardless of any potential issues at play with your unit. Be sure you take a few minutes to read reviews and testimonials about the company you hire. Local residence moving within the state may be familiar with the reputation of that particular company. In order to ensure your inspection is highly respected, you should hire a reputable company. Reading reviews and testimonials is the best way to learn about the reputation of any given business. Homeowners thinking about a sale can contact Houston Admiral to arrange for an inspection today. You can reach the friendly office staff at Houston Admiral by calling 281-876-9400. 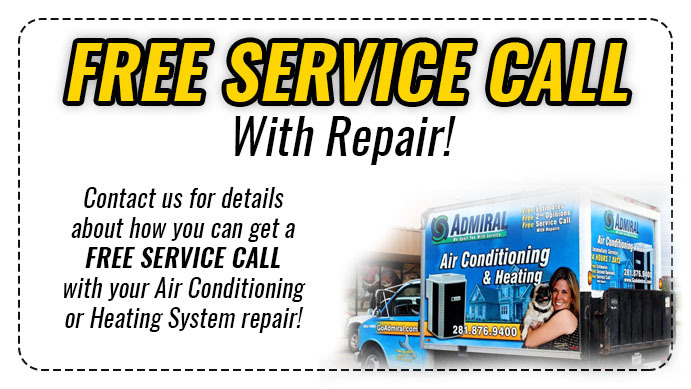 Prospective customers can learn more about their wide variety of HVAC services by visiting them at https://goadmiral.com. Houston Admiral prides themselves on offering their clients the best customer service in the area. They are happy to provide a 10-year warranty on all parts and labor. If you are searching for a way to maintain high quality air conditioning Spring Texas, contact Houston Admiral today.